Mileages: Easingwold  4 miles, York City centre  11 miles (Distances Approximate). 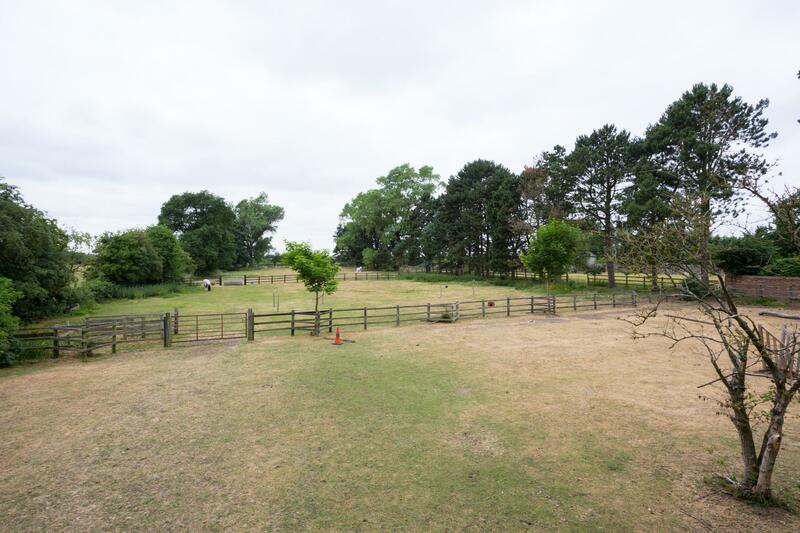 Impressive individual 3 Bedroomed Detached Family Home with excellent Equestrian Facilities, including; Stables, Paddocks, Lorry Hardstanding and a General Purpose Building all set within 2.61 acres, in a highly accessible village North of York. 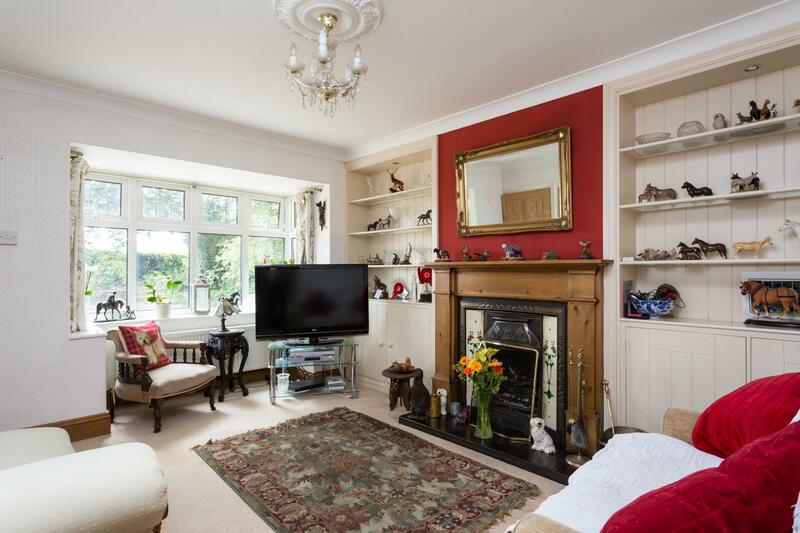 Porch, Entrance Lobby, Sitting Room, Dining Room, Breakfast Kitchen, Utility Room, Shower Room/WC, Side Porch. 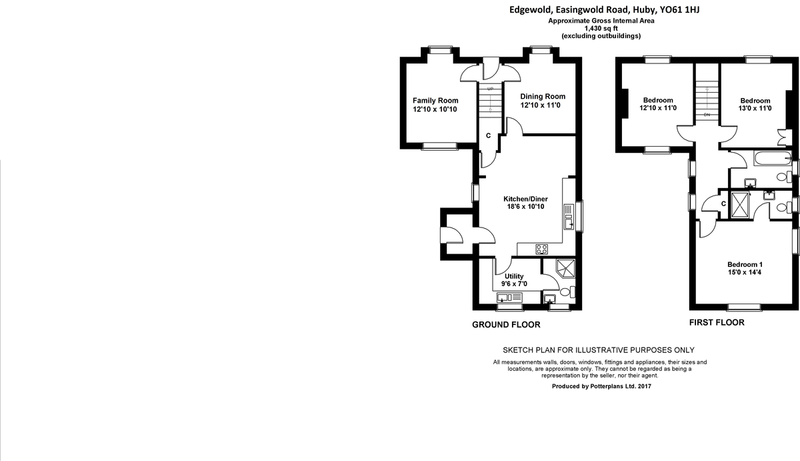 First Floor Landing, Master Bedroom with En Suite Shower Room, 2 Further Bedrooms, House Bathroom. 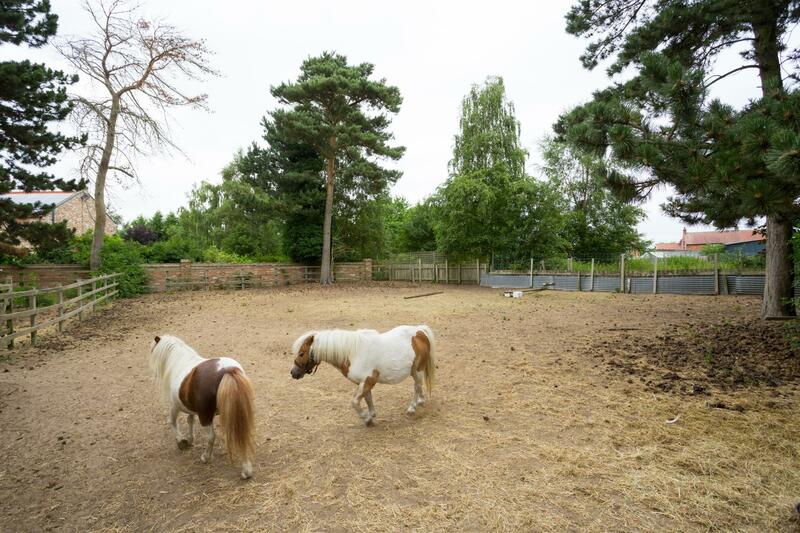 Enjoying a delightful private position, Edgewold is an attractive double fronted detached 3 bedroomed house, revealing stylish and well-appointed accommodation with scope to extend, set within generous gardens and excellent Equestrian/Livestock facilities accessed over a private driveway. From beneath an entrance canopy a panelled ENTRANCE DOOR, opens to a RECEPTION LOBBY. On one side is a DINING ROOM with square bay overlooking the established front gardens and French doors leading to the rear gardens. Attractive Adam style cast fireplace with open grate, quarry tiled hearth. BREAKFAST KITCHEN comprehensively fitted with a range of cupboard and drawer wall and floor units, complemented by beech preparatory work surfaces, cream tiled mid-range, inset 4 ring Bosch induction hob, adjoining double oven, extractor, dishwasher, refrigerator, window enjoying a southerly aspect, dresser style fitting with beech work surface, flanked by glazed display cabinets with cupboards under and useful Walk-in shelved under stairs pantry. UTILITY ROOM with a 1 ½ bowl stainless steel sink unit with side drainer and swan mixer tap, adjoining granite effect work surfaces, tiled mid-range, glazed display cabinets, wine rack, range of cupboards, space and plumbing for a washing machine, further space for a dryer and upright fridge/freezer. SHOWER ROOM with corner shower cubicle with plumbed shower, wall hung wash hand basin, low suite WC, vertical heated towel radiator. SIDE PORCH with beech work surfaces with cupboards and exterior stable style door to drive and gardens. From the Reception Lobby, a wide staircase leads up to the FIRST FLOOR LANDING, Linen cupboard and loft access. 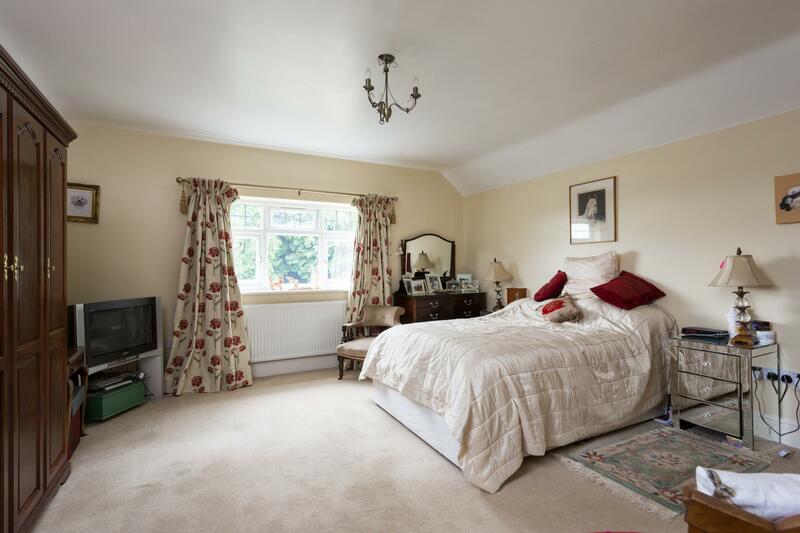 MASTER BEDROOM enjoys south westerly views over the gardens and adjoining farmland. 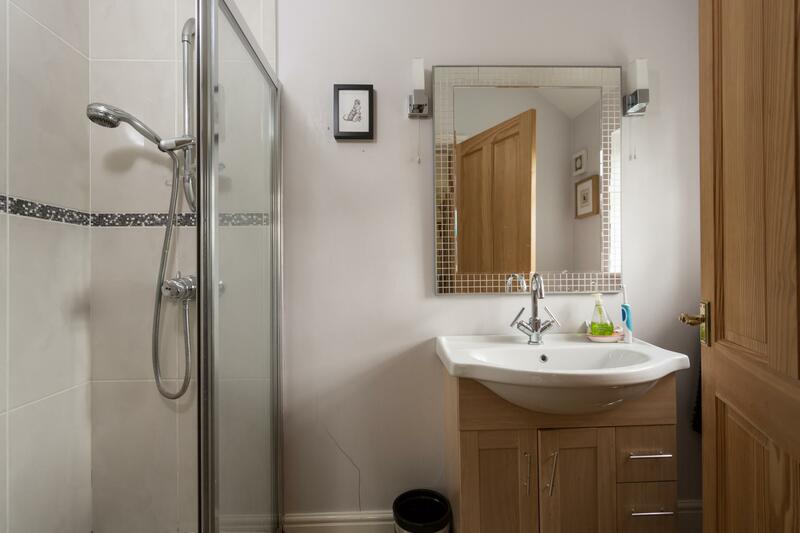 LUXURY EN SUITE SHOWER ROOM with white suite comprising walk-in double shower with plumbed shower, full height tiling, vanity basin with mirror over and cupboards under, low suite WC and window to the side elevation with views to the south towards farmland. BEDROOM 2, is a through room, having a pleasant outlook over the established gardens and to the rear over the established gardens to the west, tiled fireplace. 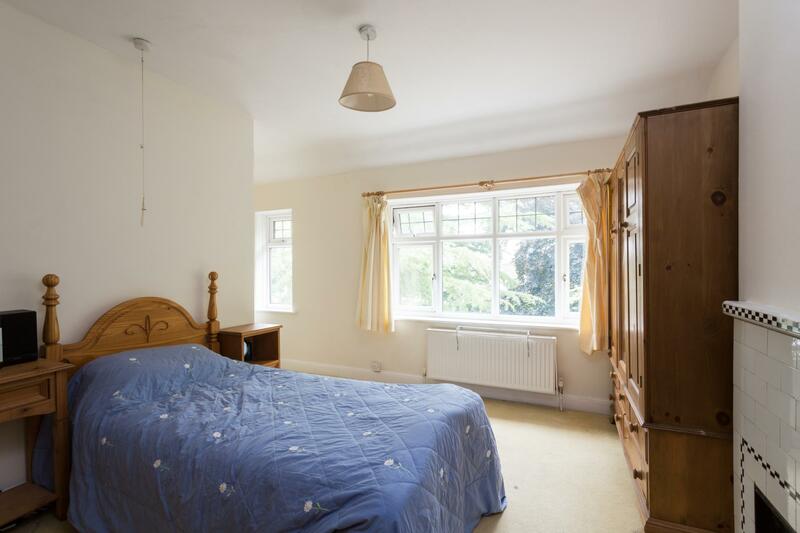 BEDRROM 3 has a recessed wardrobe and leaded UPVC double glazed window overlooking the established gardens. The FAMILY BATHROOM has a coloured 3-piece suite comprising shaped and panelled bath with tiled surround, pedestal wash hand basin and low suite WC. 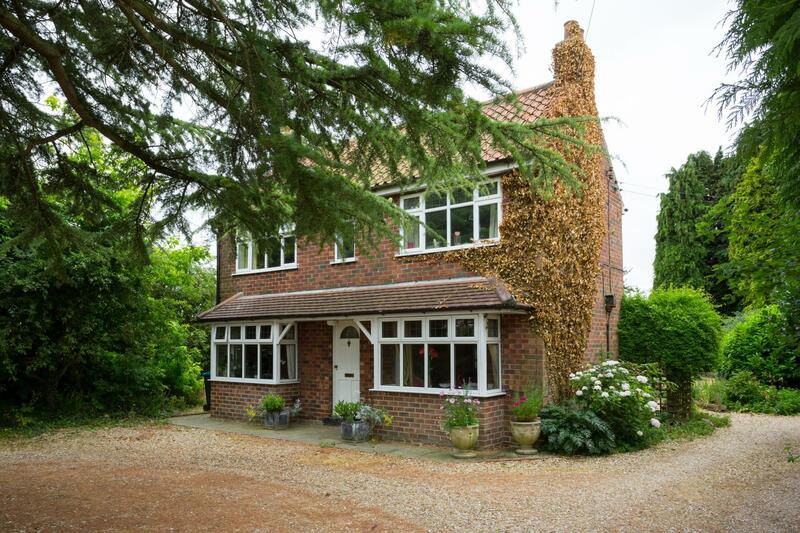 Edgewold enjoys a private position set well back from Easingwold Road behind an established Hawthorn privet hedge. 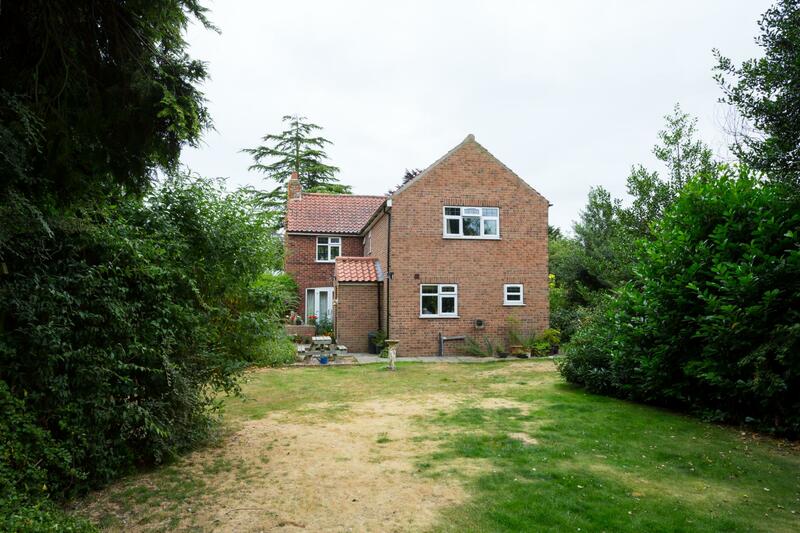 A gravelled driveway sweeps into the front providing plenty of off-road parking and past the house through a 5-bar gate to the paddocks. 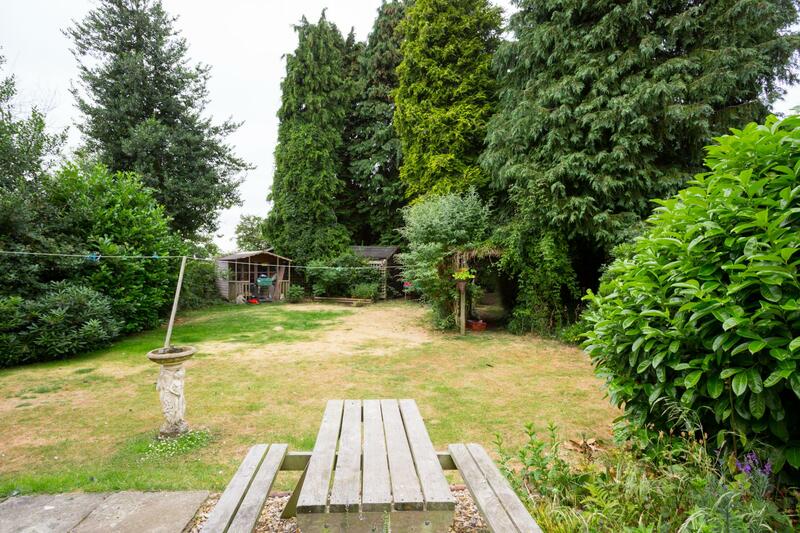 At the side and rear is a patio area and generous rear lawned garden with mature borders, roses, laurel, buddleia, holly and summerhouse. Oil storage tank. 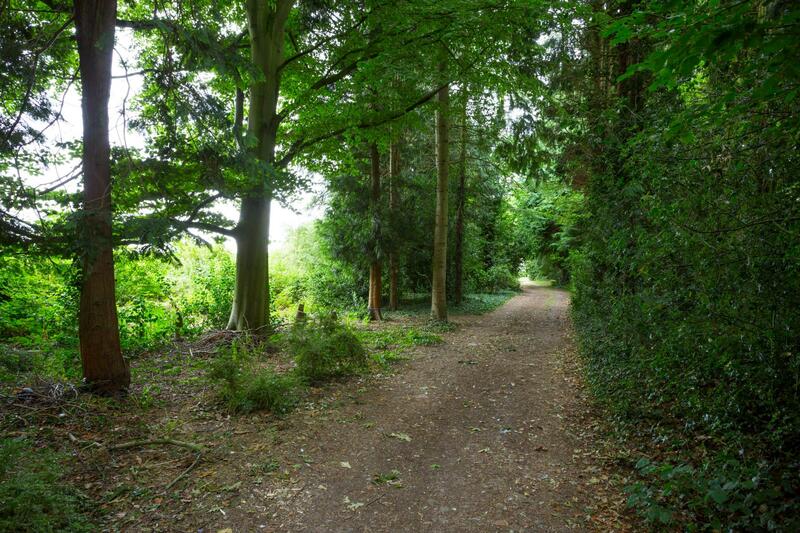 Beyond is an established orchard and wooded copse, with mature trees including plum, apple, silver birch, conifer, laburnum, cherry, holly and beech trees. 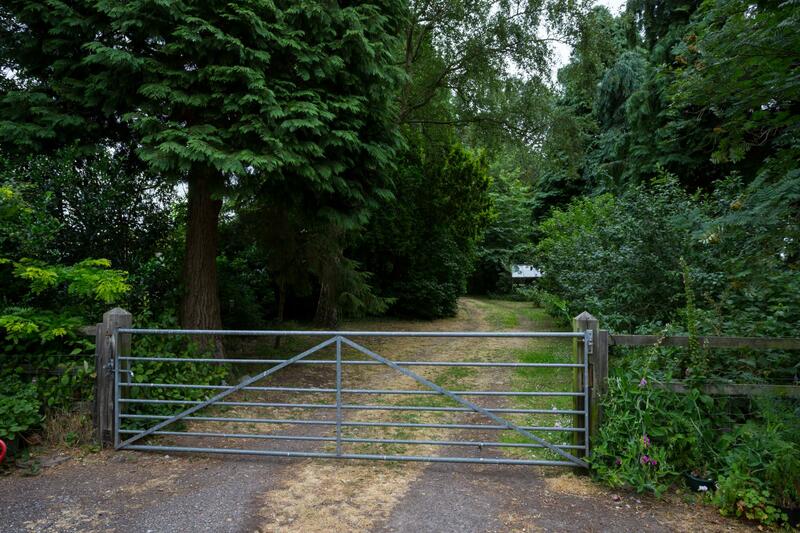 The driveway continues past the house through a 5-bar gate to a rectangular hardstanding suitable for horse boxes, wagons etc. 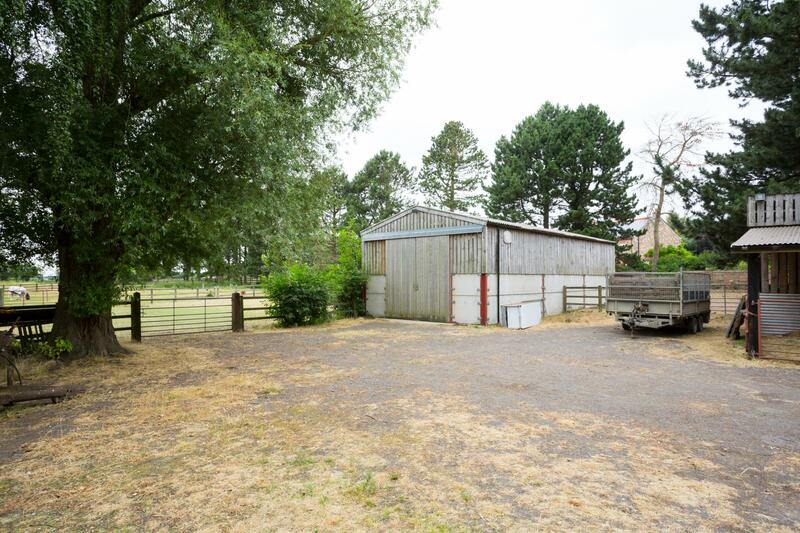 and a range of outbuildings including a purpose built general purpose building (44'6 x 19'6) of steel portal frame construction with concrete floor, Yorkshire boarded and concrete walls, with light and power and sliding doors to front. 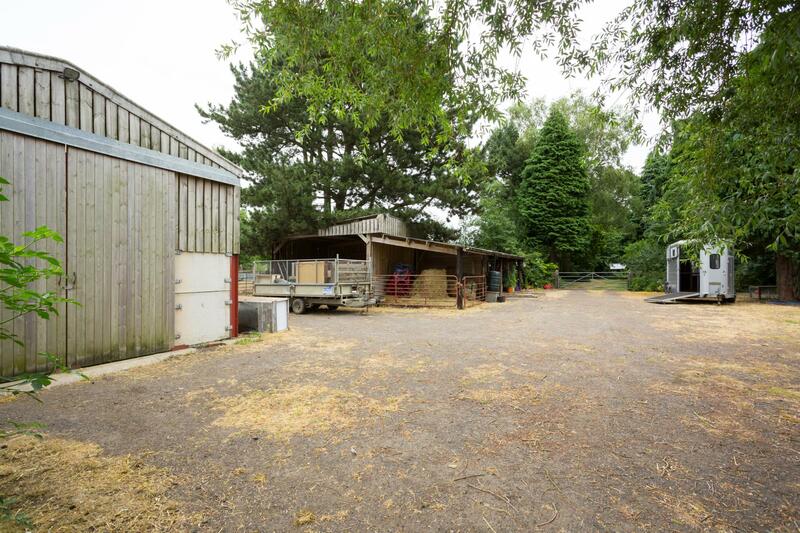 A 3 Bay Pole housing 3 Stables, 2 Hay Stores, a turn out foaling paddock and 3 level railed grass paddocks (2 with water supply). Huby is a conveniently located village approximately 4 miles south east of the Georgian market town of Easingwold and 11 miles north of York city centre. 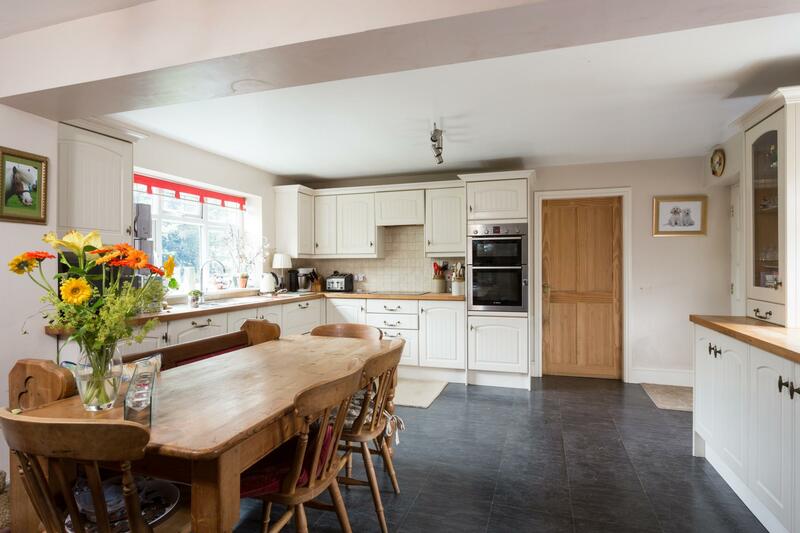 The village and surrounding areas are well served with a shop, school and recreational facilities and there is good road access via the A19 trunk road to the principal Yorkshire centres including those of Thirsk, Northallerton, York and Leeds. Mains water, electricity and drainage, with oil fired central heating. From our central Easingwold office, proceed south along Long Street and turn left onto Stillington Road. 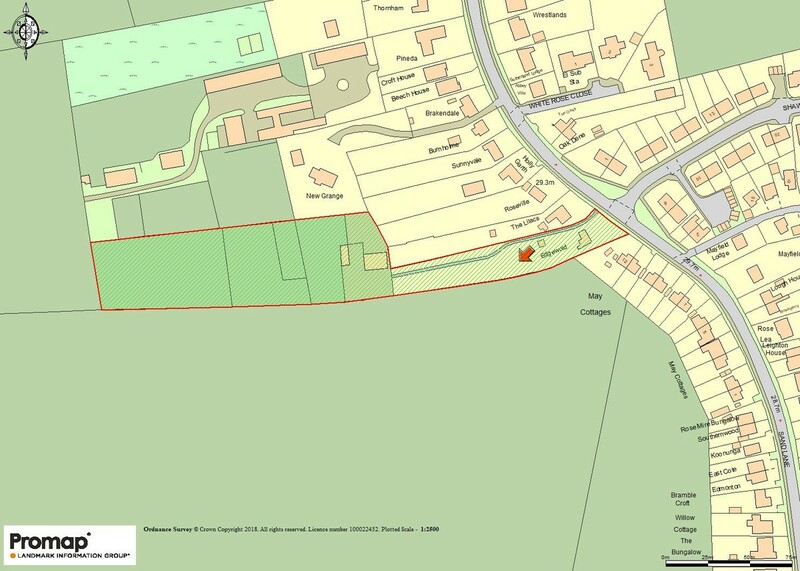 Take the first turning right sign posted Huby, proceed for some distance, whereupon Edgewold is positioned on the right-hand side, identified by the agents 'For Sale' board.